Sonorous ruby; just a touch of development at the rim belies its age. Ornamented baroque with shimmery oak plumage: raspberry confit, resiny spice, shiro-soyu and smoke. 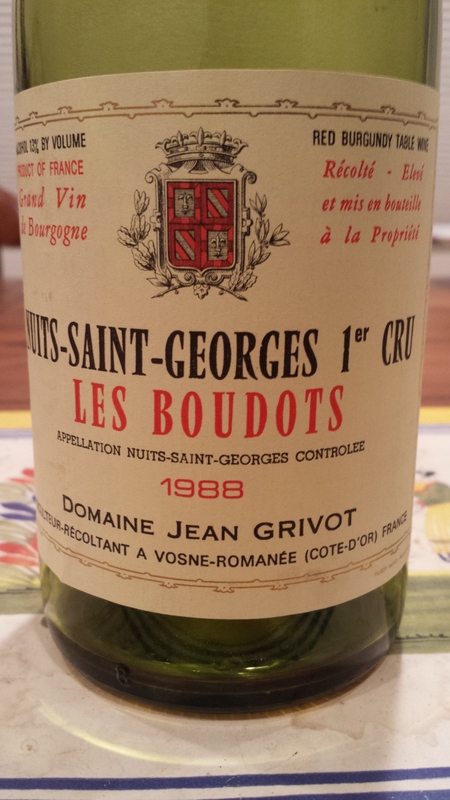 Fullish, concentrated and extracted, with fine structure and grip: this Boudots persists like a habit. Organic, nocturnal finish. Will last for ages. Now – 2020+.